BOSS (Back Office Shared Services Pty Ltd) was founded in 2004 to provide skilled accountants and bookkeepers to commercial enterprises, accounting and financial services firms in Australia. BOSS India is a subsidiary of BOSS Australia and runs just like an ultra-modern paperless Australian public practice because the Director and Accountancy Practice Principal, Peter Vickers, has been operating his own successful Australian public practice for over twenty years. 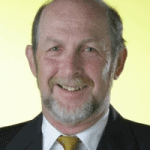 A registered tax agent and company and SMSF auditor, Peter is principal of Peter Vickers & Associates, Lindfield, NSW. He is a fellow of Chartered Accountants Australia and New Zealand, The Tax Institute, and the Australian Institute of Company Directors. Peter has experience, from running his own practice, of the needs of today’s accountancy practices. Peter also strives to ensure the BOSS services include reliability, quality of work, value for money and client security. Kiran is a commerce graduate, majoring in Accounting and Taxation; a CMA (Certified Management Accountant, IMA, USA); an AFA (Associate Financial Accountant, IFA, UK) and a member of the Institute of Public Accountants, Australia. An energetic attentive leader, holds a Gold Level badge from IMA Leadership Academy. 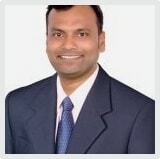 With over a decade of experience in public practice, he provides unique insights in management, accounting and taxation. 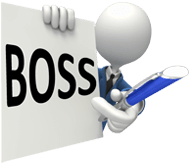 He heads operations, delivery, training and professional development at BOSS. He is solution oriented, customer focused and believes in knitting employees and clients closely for a mutually beneficial flexible environment. A diesel bike restoration enthusiast, beaches are close to heart. The same high standard of selection, training and management applies to your BOSS accountants and bookkeepers as it does to your local recruits. The difference is we do it all for you. For more details please refer to Training and Supervision. We have five key staff who have passed their Australian Corporations Law and Taxation exams (with Distinction). There are three staff who are members of the Institute of Public Accountants of Australia.